Please select a size. 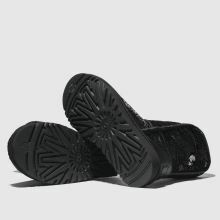 UK 5 - Low StockUK 6 - In Stock Please select a size. 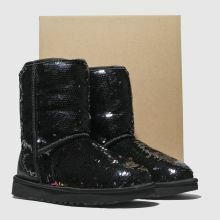 Elegant and endlessly shimmery, UGG deliver the chic Classic Short Sequin boot in a sparkling black colourway. The man-made upper arrives covered in sequins while satin binding adds a luxurious touch. To finish, cosy UGG pure wool lines the inside.